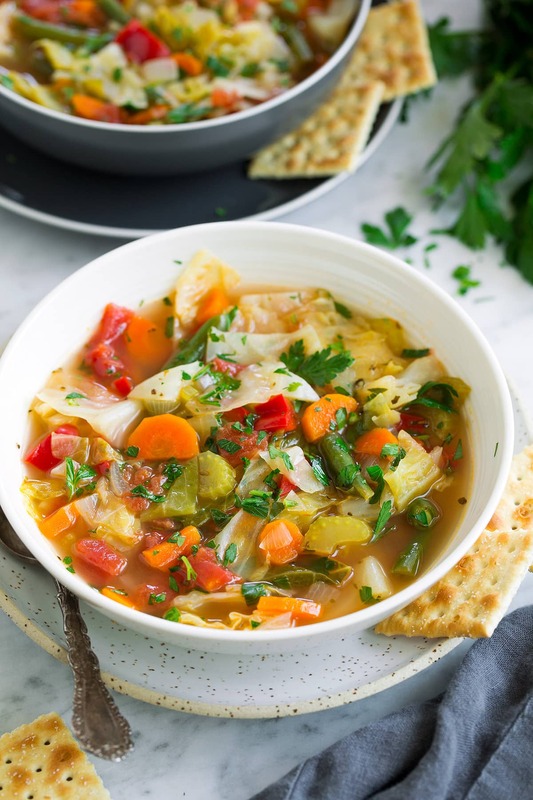 This Cabbage Soup recipe is one of the few recipes that you can sit down and eat as much as you want as often as you want and you can feel great about it! It’s low in calories, it’s packed with veggies and it makes the perfect lunch any day of the year. I love this recipe for a few reasons. 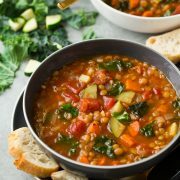 It’s flavorful, it has minimal calories, it’s so easy to make, it’s packed with nutritious ingredients and it makes great leftovers that reheat well. It’s also a great recipe for sicks days, or recovering from being sick days. It only requires just a bit of chopping and sautéing then you just let everything simmer together until it’s tender. Really, it’s as easy as that! 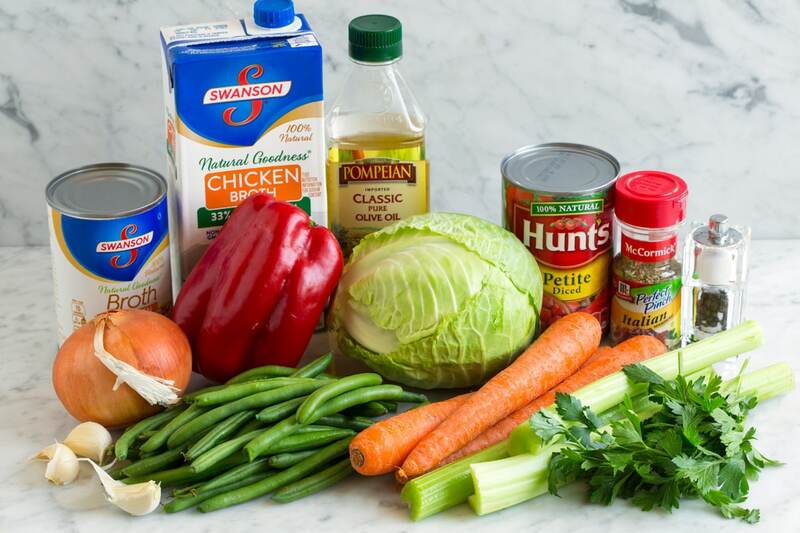 What Ingredients go into Cabbage Soup? First you’ll start out by heating the olive oil in a large pot over medium-high heat. Add the onions, carrots and celery then saute 6 minutes. Add in the garlic and saute 1 minute longer. 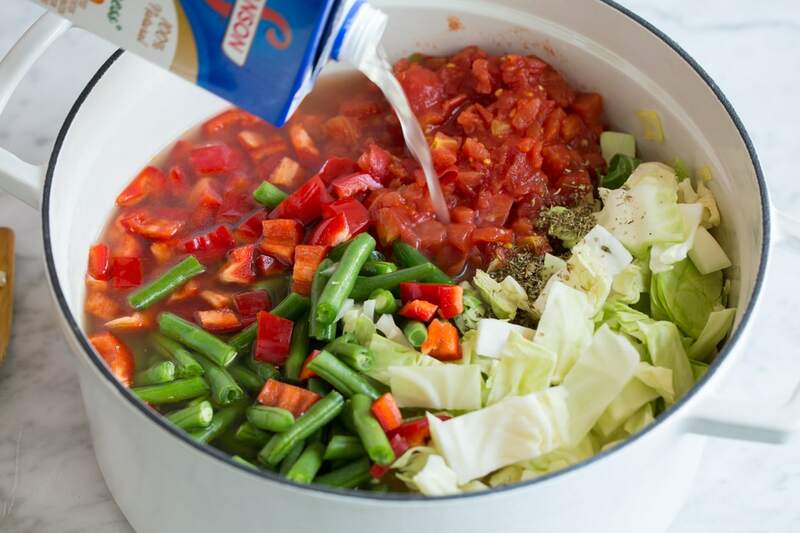 Stir in cabbage, bell pepper, tomatoes, green beans, broth, Italian seasoning and season with salt and pepper to taste. 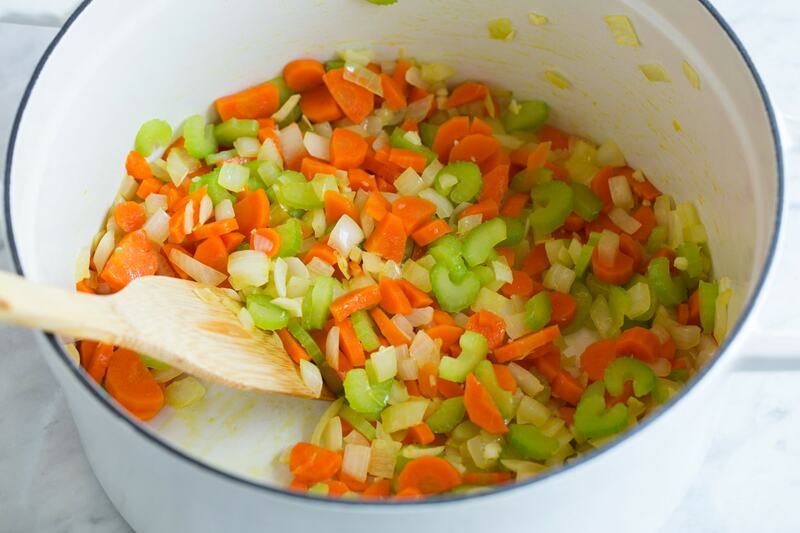 Bring the mixture to a boil then reduce heat to medium-low, cover and simmer until veggies are tender, about 15 minutes. Stir in parsley and serve warm. You can also add a tablespoon or two of lemon juice for added flavor if desired. 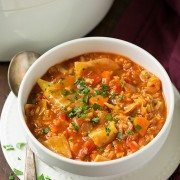 Will this Recipe Work for the Cabbage Soup Diet? I’m no doctor or dietician so I’m not one to promote a diet or diet recipe. 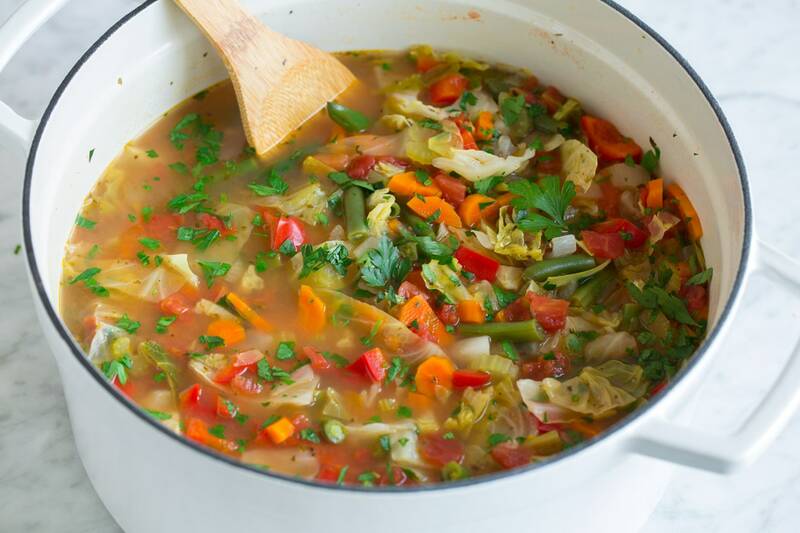 But if you are looking for “the cabbage soup diet recipe” then this one will fit the bill. I like to serve this with fresh whole wheat bread, covered with a layer of creamy butter of course. Garlic bread or cheese toast is another good option. Or just go with crackers, can’t go wrong with those. 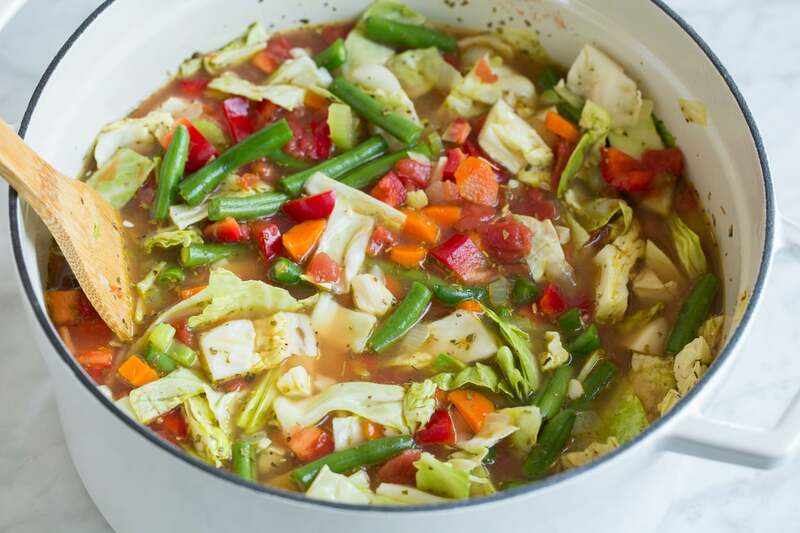 For an added protein and to make this soup more filling you can add in cannellini beans or kidney beans. 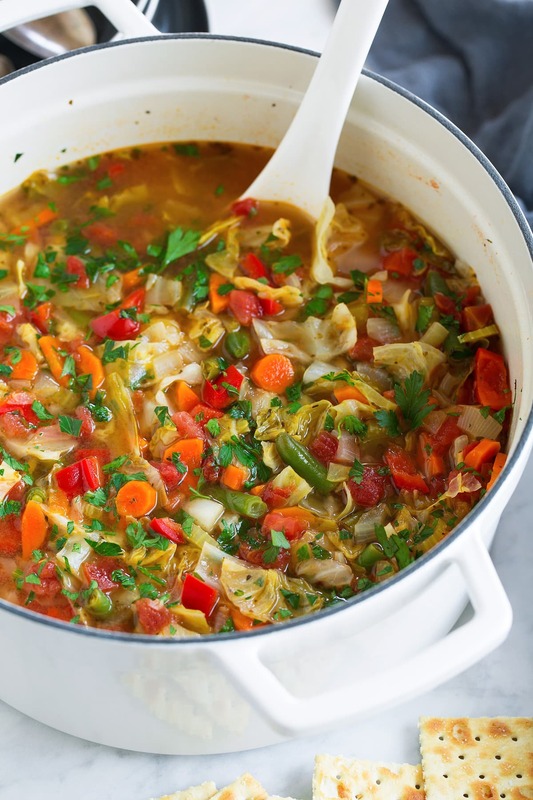 This Cabbage Soup is easy to make and so delicious! 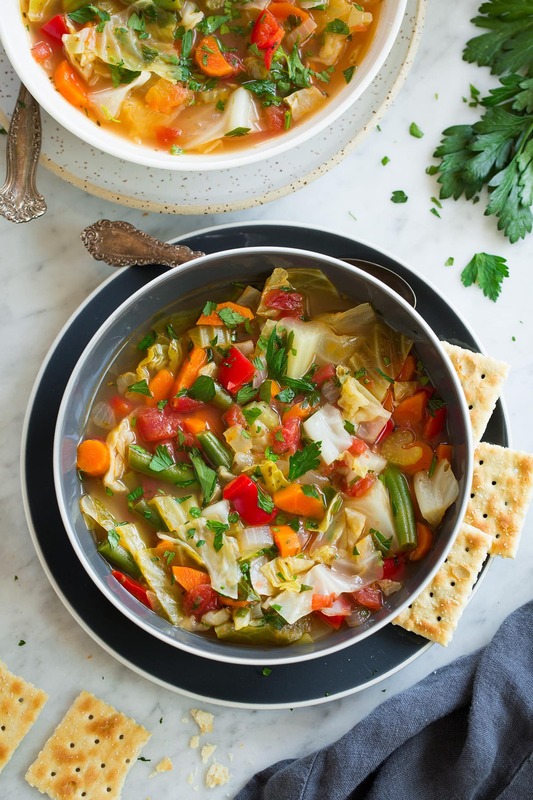 It's also low in calories, packed with veggies and it makes great leftovers. Add onion, carrot and celery, then saute 6 minutes. Add in garlic and saute 1 minute longer. Stir in green beans, bell pepper, cabbage, tomatoes, chicken broth, Italian seasoning and season with salt and pepper to taste. Bring mixture to a boil, then reduce heat to medium-low, cover and simmer until all of the veggies are tender, about 15 minutes. Thin soup with a little more broth or water if desired. Mix in parsley and serve warm. 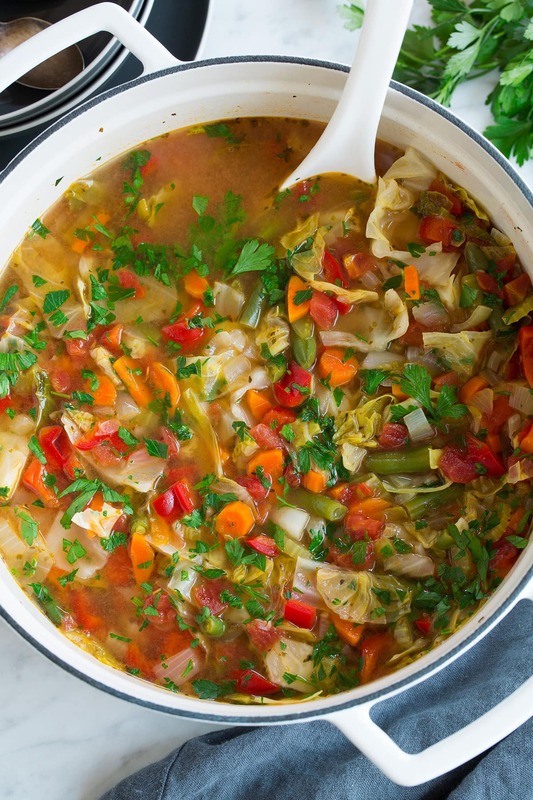 Renee: I love your vegetable soup, and plan to try this cabbage soup soon.